Isabella Fisher Chambers (known as Bella) married Johnston Alexander Love (known as Alex); my great grandparents. Bella’s parents were John Chambers and Catherine Johnston. John was born about 1845 in Glasgow, Scotland. He married Catherine in St. Columb’s Cathedral on 13 Sep 1870. Witnesses at their wedding were Adele Doherty & John Barr. John was a car driver as per their marriage certificate. It shows that his father was Daniel Chambers who was a printer by trade. I’ve since discovered his mother was Mary Kelly. Catherine was born in Lough Eske, Co. Donegal and her parents (my 3rd great grandparents) were John Johnston and Isabella Smyth. John & Catherine’s first daughter, Bella, was born in Ardnableask, Lough Eske, Co. Donegal in 1872. They had 2 more daughters; twin girls (Catherine & Mary Ann) who were born in Londonderry in 1874. They also had a son named Fred, who we understand was adopted; however, I haven’t been able to locate him yet. John died on 16 Nov 1906 at his residence at 113 William Street. Catherine died on 14 Mar 1912 in 12 Victoria Street. Catherine was living with her daughter, Bella and her son in law Alex! That address has been in the family for decades! 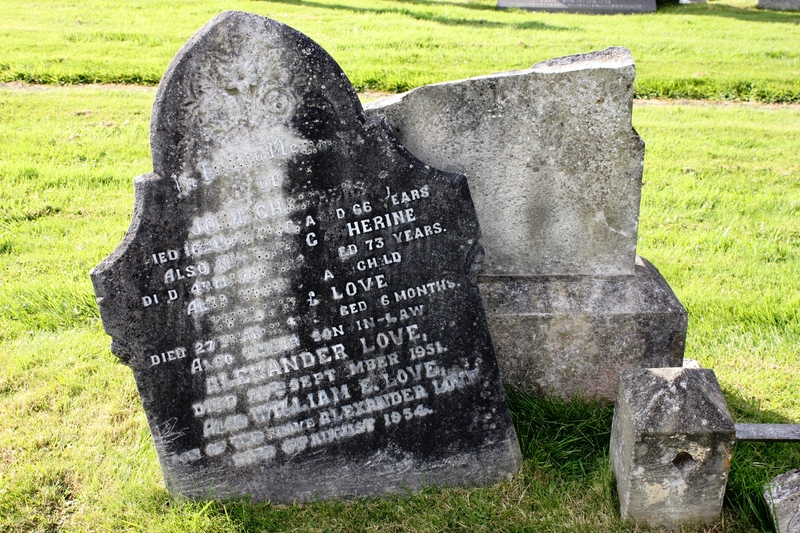 Both are interred at the Derry City Cemetery; Grave No. SB17; purchased by John Chambers. This entry was posted in Family History, Geneaology, Ireland and tagged Chambers Family, Londonderry, Love Family, Scotland. Bookmark the permalink.